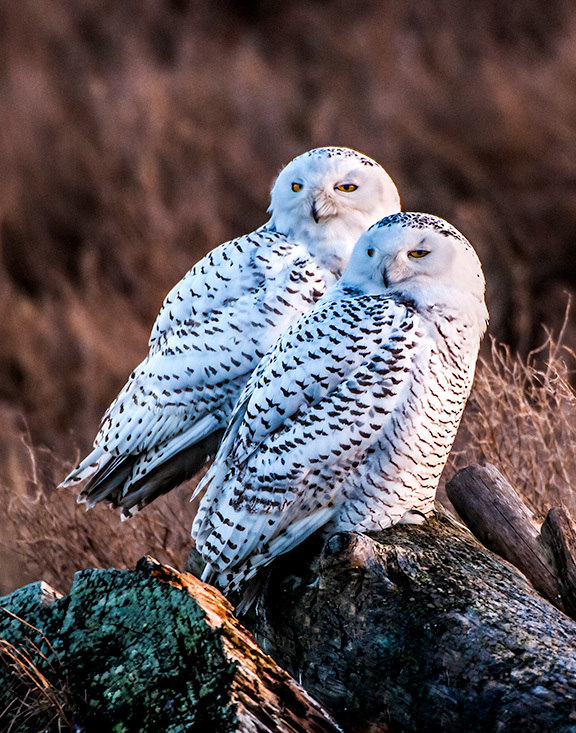 The surprise of seeing not one, but two snowy owls on the same log in the winter, when they migrate further south from the Arctic, is a rarity and something you never forget. Now you can enjoy this view with a print of your own. Ideal for owl and bird lovers as well as those who’ve had the fortune to see or wish to see a snowy owl in their lifetime.